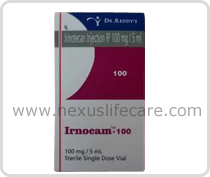 Uses :- Irnocam Injection is an antineoplastic agent, prescribed for colon or rectal cancer, either alone or in combination with other medications. It is an Anti-Cancer Drug. It stops the growth of cancer cells.